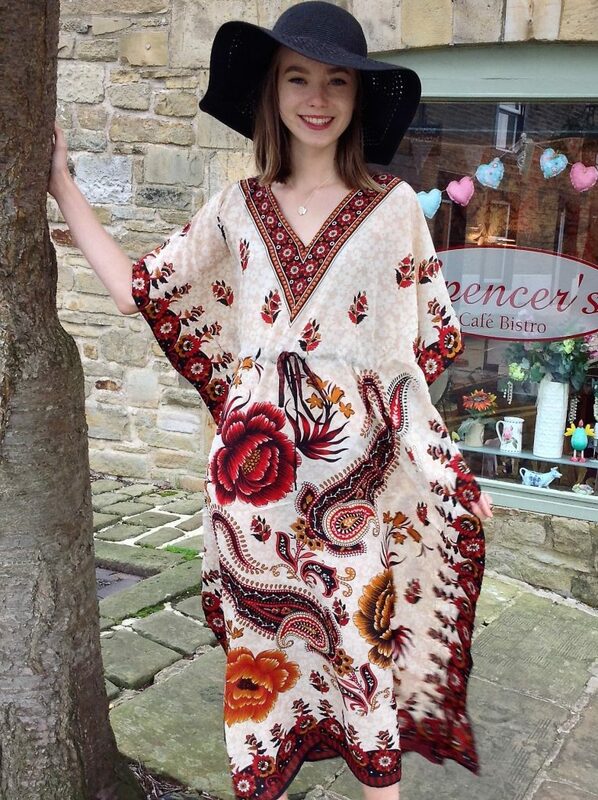 This is a lightweight long kaftan with a drawstring. A muliti coloured design of paisley leaves. It has a V Neck with a paisley design border. 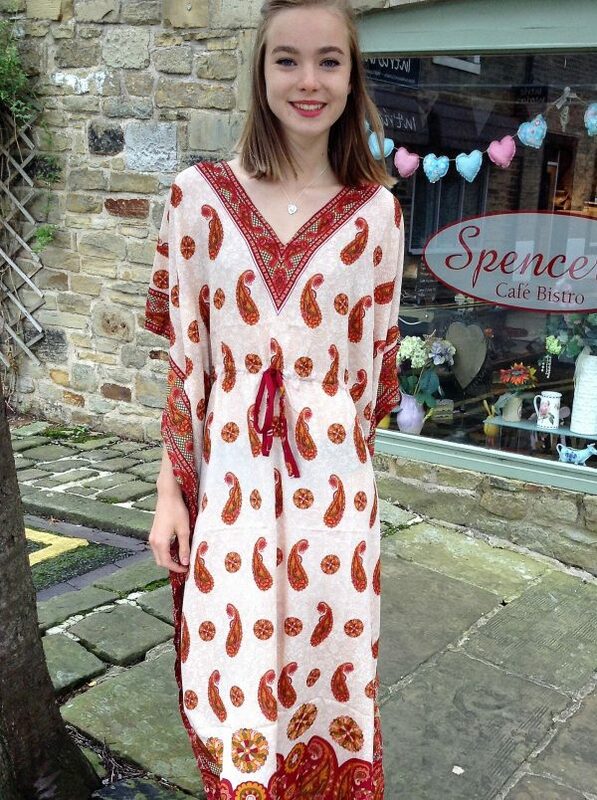 An ideal kaftan for holidays as it is light weight and doesn’t crease.